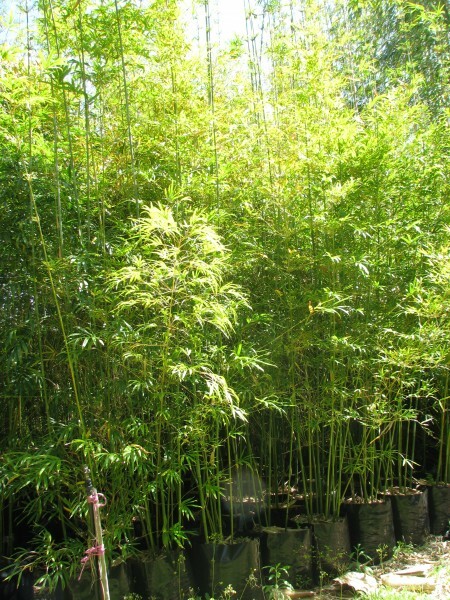 Currently on sale is our 100Lt Bambusa textilis ‘Gracilis’ stock. Usually $275 ea + GST now just $220 ea + GST ! That’s a huge saving of 20% off!! Plants are approx 5-6 m tall with 6 to 10 culms per bag. Contact us now at sales@bamboos.com.au or on (07)5485 3510 to take advantage of these never to be repeated prices.